Above scan is of the cover of the no. 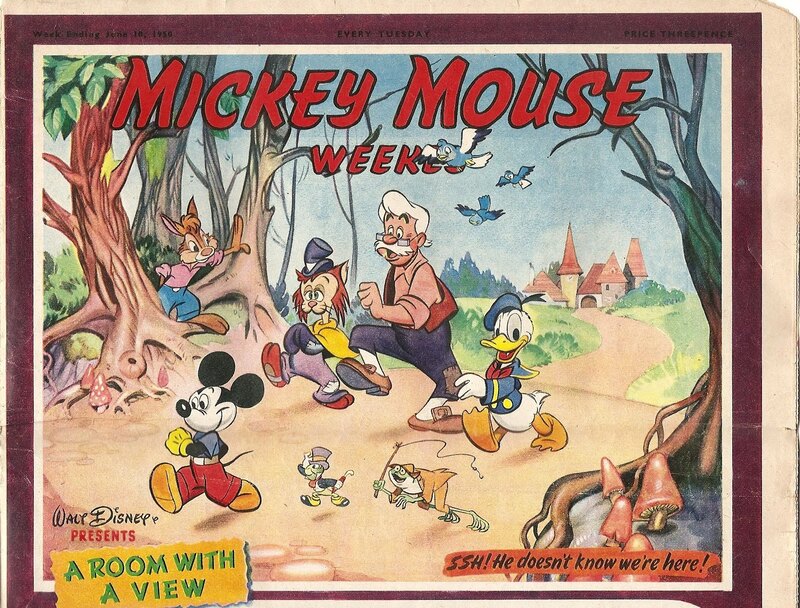 526 (dated June 10th, 1950) of Britain's Mickey Mouse Weekly comics magazine, featuring a tv-themed British-made gag. 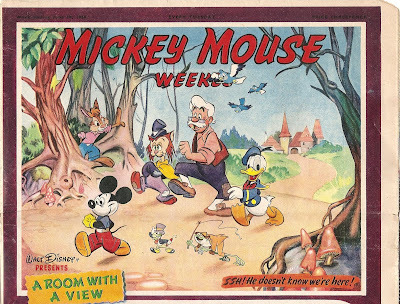 Across the Atlantic, television had already began appearing in Donald Ducks daily newspaper strips in the US by 1946 (with Daisy buying a tv set for Donald), but the the above British comics might have been the inspiration for the below American strip from August 30th, 1950: I am somewhat surprised and delighted to see that visiting others who were priviliged to own a tv set to watch broadcasts in the early days of television was also a common social practice in Western contexts, just like it was in Turkey. While I don't recall visiting neighbors for this purpose, my earliest recollection regarding tv is about watching an episode of the Pink Panther cartoon series in my uncle's house during a visit with my parents; that must have been in 1974 (public tv broadcastig had began in Istanbul in 1971).